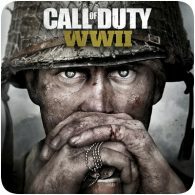 The 9th Deal of Christmas is now live on the European PlayStation Store, giving gamers 27% off Call of Duty WWII. The game was previously on sale during the Black Friday sale, but has been further discounted for the next 48 hours. The game can be picked up for £39.99, instead of the usual price of £54.99. The game was released exactly a month ago, so it’s a decent discount on a game this old. The Digital Deluxe edition of the game is available too, saving you 23% off the more expensive version. Both editions of the game include 1,100 Call of Duty: WWII Points.